The MBA is the prime management qualification for managers. Designed for your success, the MBA creates distinctive managers with a comprehensive knowledge of the latest business practices. This MBA gives you a great overview of the business world and enhances your knowledge and skills further. It provides much deeper understanding of the business environment and helps you to become able managers. This global gold standard management qualification provides a rigorous and challenging postgraduate business and management experience in which students develop alongside other experienced managers and business professionals to facilitate their becoming more effective managers or professionals. An honors degree at 2:2 or above. Applications will be considered from candidates who do not meet the formal entry requirements but who can demonstrate by interview the commitment to complete the program successfully. Contact Robert Kennedy College for more information. The University of Cumbria MBA programs offered online in exclusive partnership with the Robert Kennedy College are recognized Worldwide. Once you complete your studies at Robert Kennedy College, you will receive a degree from the University of Cumbria. The University of Cumbria received the University title, and degree awarding powers, from Her Majesty’s Most Honourable Privy Council. It is fully recognized by the British Government and duly listed on the United Kingdom’s Department for Business, Innovation and Skills list of recognized UK awarding institutions. 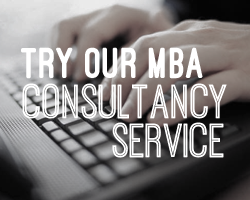 Fill out your details to find out more about Online Master of Business Administration.